Some Tag Fasteners mount to walls, while others hang freely or adhere to cans and drums. Tag Holders are clear and made of clear plastic for visibility and quality. 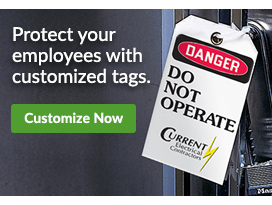 Tag Fasteners & Holders, available at Seton, will keep your tags safe and secure. Tag Fasteners and Holders consist of anything that will attach tags to a piece of equipment. These would include: Holders, Fasteners, Envelopes and more.